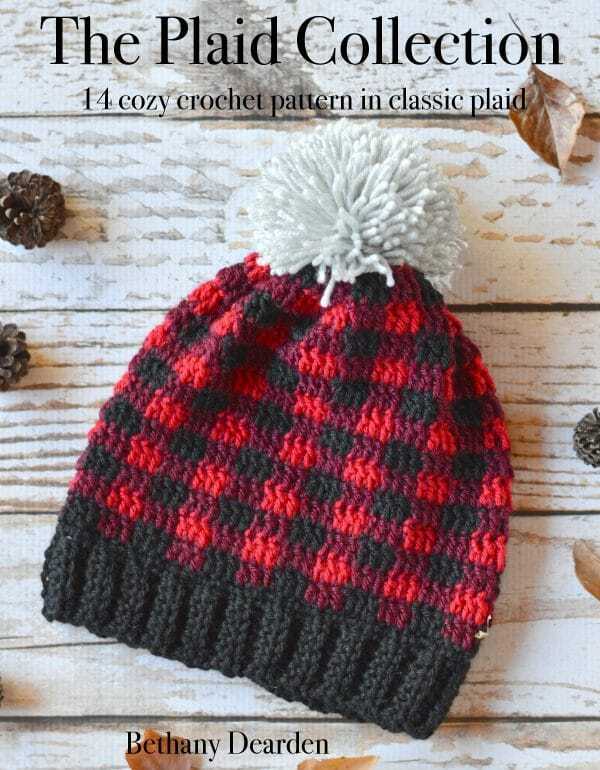 This pretty and modern collection of crochet plaid patterns includes all the patterns from Plaid Week 2017 plus four bonus patterns only available in the book. If you love these, you may like the Vol. 1 ebook, too! 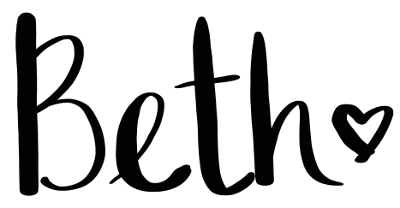 For the last three years I have promised myself that I will start designing for Christmas and Fall in the spring and summer so there is no rushing and no stressing when Crochet Season and the Holidays roll around…So I guess I will add another year onto the pile. Maybe next year, right? 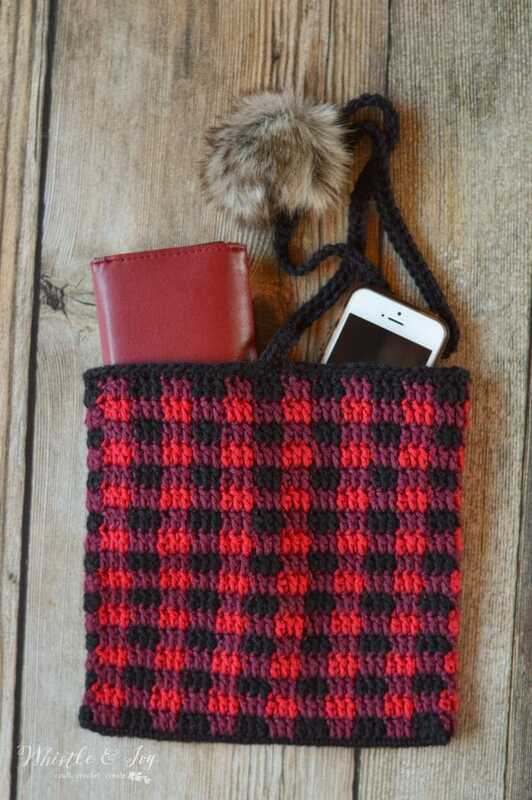 I am relieved to finally get this book put together because I hit a few snags, one being that I could NOT get the counts and shaping right on one of the patterns I intended to include in the Crochet Plaid Collection Vol. 2 Book (Get it on Etsy and Ravelry). So, despite my promises, it only includes 4 bonus patterns instead of 5. I hope you love it anyway! 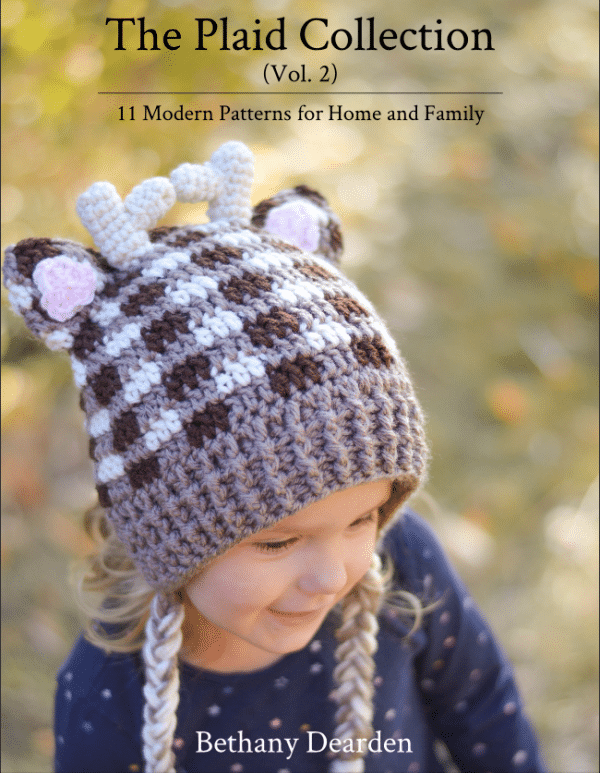 This book includes all the patterns from Plaid Week 2017, and includes the Woodland Animal Hats. It’s the perfect companion to The Plaid Collection (Vol. 1). I based this clutch on my very beginner-friendly wrap clutch. I just love the boho look of it. 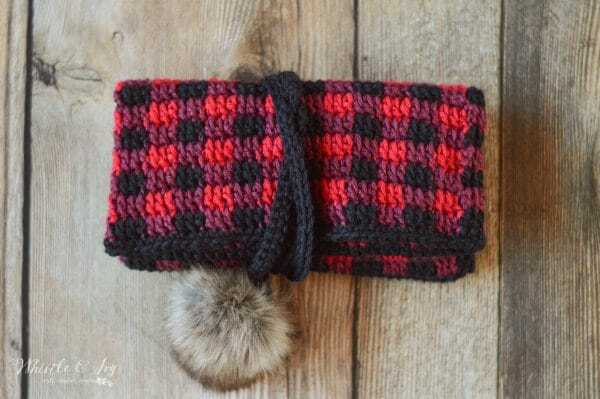 And of course, faux fur goes perfect with buffalo plaid so I made a small pom-pom to go on the end of the wrap. I would suggest using short pile fur, so it’s not too bulky. The scarf turned out so cute! It’s simple to make, and has a unique look to it. 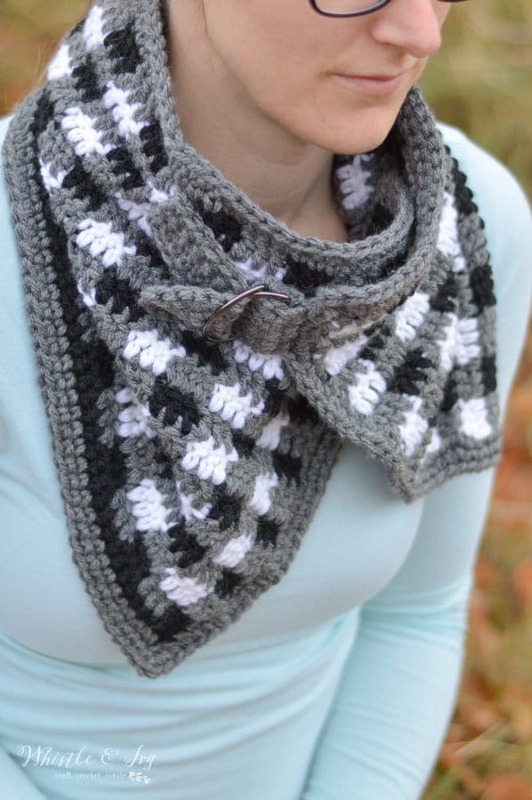 I was originally going to put this pattern up for Plaid Week, but decided to focus on reader suggestions instead. I haven’t done too much with hardware, but I think I will change that, because it certainly adds a nice touch and it is simple to attach. 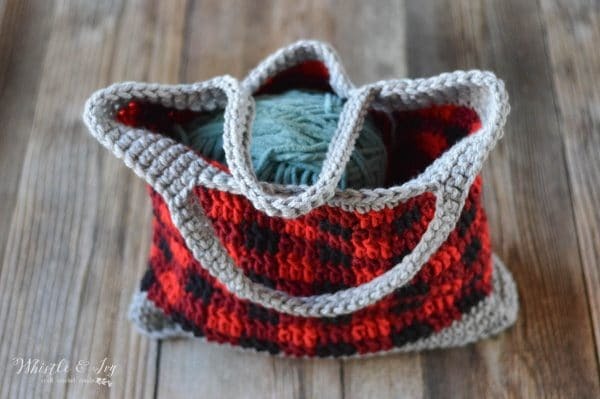 I designed this market tote with #6 bulky, the same yarn I used to make the Plaid Tree Skirt, so it works up quite fast and is thick and durable. I might line it and add some pockets. 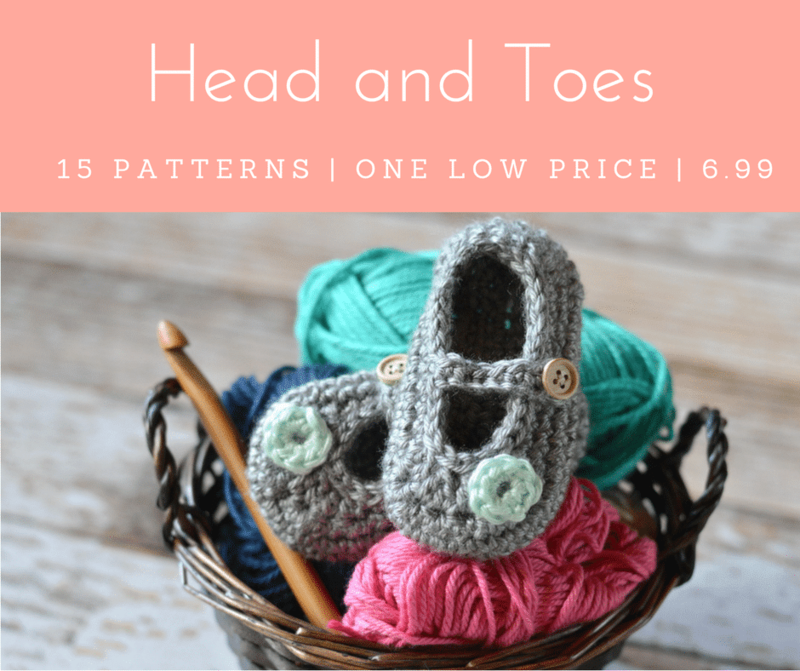 It’s the perfect size to take shopping, but it would also make a lovely yarn tote. Oh plushies! I am not so good at designing them. This guy almost didn’t happen because I about threw in the towel. I decided to persevere, but he looks a bit like a caribou, and could possibly be a deer as well. You know how you say a word over and over and it loses it’s meaning? That might be my problem here…does it look like a moose? I bought this book, but it doesn’t say how many skeins I need for the moose? One of each? Sorry about that! Less than one skein of each. About half for 3/4 skein. Hi there. I see the moose, I love the moose, but I can not find the moose. Did you pull the pattern? I saw that you had concerns about whether it was a moose or not – I think he looks great! I grew up in Alaska, so I am familiar with their unique design. Cheers! 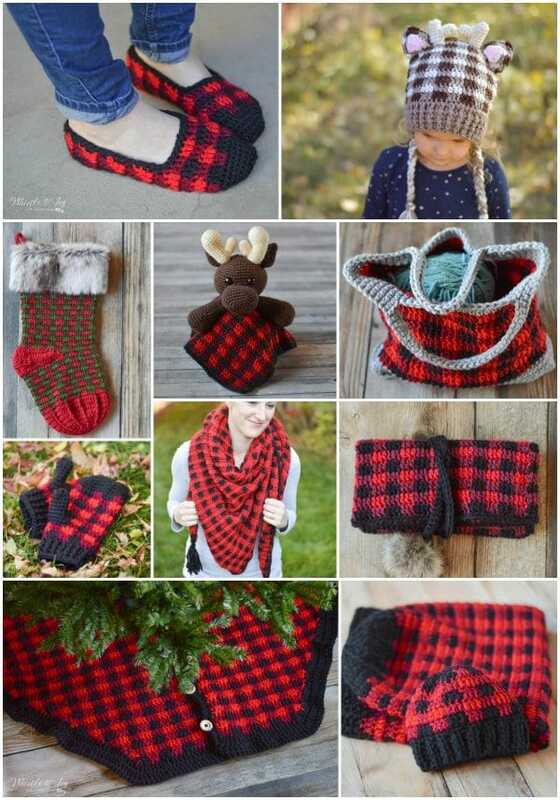 Thanks so much Tammy :) The Moose is part of the Plaid Collection Vol. 2 ebook! I absolutely thought it was a moose also!! I think it’s super cute!!! 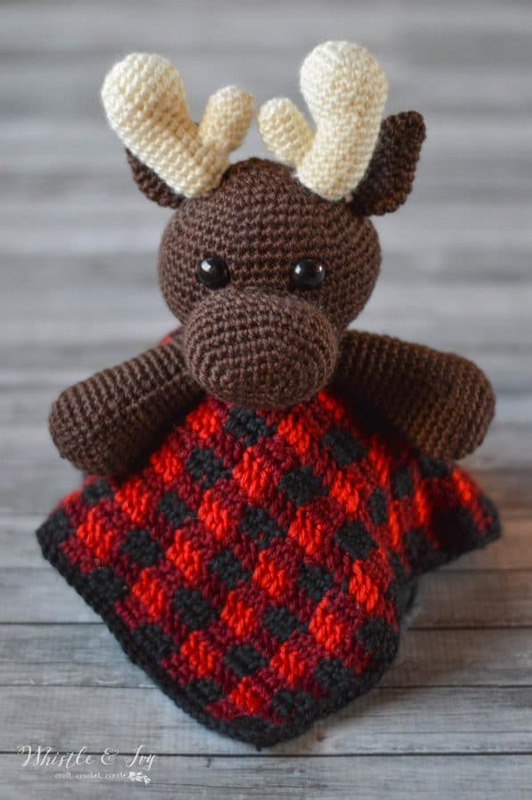 Will you sell just the moose toy pattern alone? Thank you so much! No, at this time its only available in the book. I love, love, love all of these! Hi Cheryl! Can you send me an email with your order # so I can help you? Thank you! 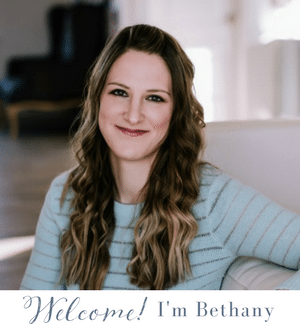 Hi Bethany! I really like your blog; but I have never commented before. I just wanted to tell you that I show my mom your moose lovey. And she knew it was a moose right away. She is from Maine so she knows her moose. I think the moose might be my favorite of these new patterns.